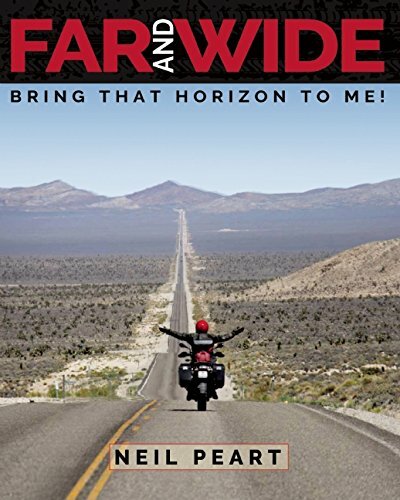 Legendary RUSH drummer Neil Peart has chronicled the band's "R40 Live" tour in the upcoming book called "Far And Wide: Bring That Horizon To Me!" The 312-page hardcover book will be released by ECW Press on September 13. Official book description: "Thirty-five concerts. 17,000 motorcycle miles. Three months. One lifetime. 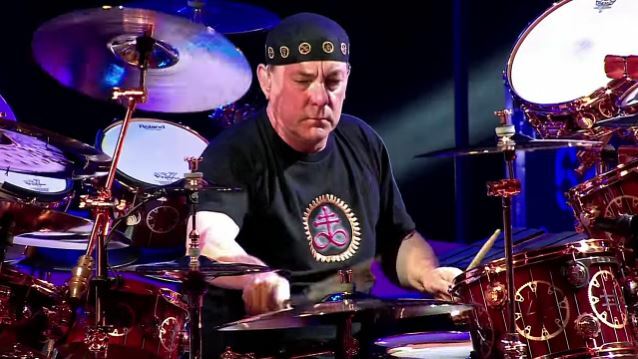 Peart last year admitted to being "of two minds" about another lengthy run of concert dates, pointing out that having a young child at home makes it difficult for him to be gone for weeks at a time. "I've been doing this for 40 years — I know how to compartmentalize, and I can stand missing her, but I can't stand her missing me and it's painful and impossible to understand for her. How can a small child process that? And there's the guilt that comes with that — you feel guilty about it, of course. I'm causing pain." RUSH released the "R40 Live" concert film on November 20. RUSH recorded and filmed "R40 Live" over two sold-out shows in the band's hometown of Toronto at the Air Canada Centre on June 17 and June 19, 2015 in the middle of their "R40 Live" 35-date North American tour.